The CSO yesterday published its figures for the completion of new builds over the past number of years. HOUSING MINISTER EOGHAN Murphy has defended the government’s record on house building after new data revealed that over 30,000 fewer homes have been built in recent years than was previously reported. The CSO yesterday published its figures for the completion of new builds over the past seven years. The CSO had been asked to carry out this research after controversy mounted over how many homes were being built annually in Ireland. For decades housing completions in Ireland have been measured through ESB connections – with a new connection indicating a new housing unit. The Housing Department stopped officially using this measure last year, due to a lot of criticism from experts that the data being produced wasn’t accurate. Yesterday’s CSO data showed that official government figures since 2011 have inflated the number of actual houses built in Ireland by over 30,000 units. Figures from the Department from 2011 to 2017 had in the region of 85,000 new homes built. CSO figures show that the accurate amount is closer to 53,500. The reason for the discrepancy is down to ESB connections being counted for buildings that weren’t new homes. For example, last year there were 19,184 ESB connections counted in Ireland. 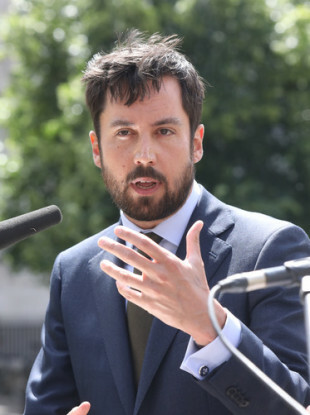 The publication of the CSO data had prompted widespread criticism of the government and Housing Minister Eoghan Murphy, who is under pressure on a number of fronts to alleviate Ireland’s housing and homelessness crisis. Speaking today on RTÉ’s Morning Ireland, DIT housing lecturer Lorcan Sirr – one of the main critics of the use of ESB connections in measuring new builds – said the data called into question a lot of government targets and figures. “The official figures from 2011 to 2017 say we build just over 85,000 houses. The reality as exposed by the CSO yesterday was that’s more like 53,500,” he said. So we’re way behind on where we should be, which calls into question then the success of plans like Rebuilding Ireland. Sirr also said that natural obsolescence of housing stock (houses that fall out of use) usually was about 0.5% every year – which he said equated to about 8,000 last year. Sirr said that the net gain in houses was therefore even lower than reported. “If you’re not adding houses to your stock, you’re not solving the problem,” he said. Sirr said that the lower figures called into question the capacity of the construction sector in Ireland to deliver on the targets laid out by government in its 2016 Rebuilding Ireland plan. Also speaking on Morning Ireland, Minister Murphy defended his position and the government’s record in building houses. “If we look at the total number of homes available to be used and occupied for families to live in at the end of 2017 it’s a 75% increase if we look at the end of 2015,” he said. That’s looking at new builds and ghost homes being completed. Murphy also defended the Rebuilding Ireland plan, saying that the government was on track to reach the targets set out in it. “Rebuilding Ireland is there to get us to a steady state of 25,000 homes by 2020, we’ll get there before that,” he said. “Everything under Rebuilding Ireland, all the indicators that we have… tell us that we’re making huge progress and the we’re ahead of target,” he said. In relation to Sirr’s statement on housing obsolescence figures, Murphy said that government didn’t know what the number was. “We don’t have that information yet,” he said, saying that he did not know on what basis housing obsolescence was being counted. Email “Government criticised as new data shows 30,000 fewer homes built since 2011 than previously thought ”. Feedback on “Government criticised as new data shows 30,000 fewer homes built since 2011 than previously thought ”.